Laugh, Love, and Craft: DON'T FORGET! 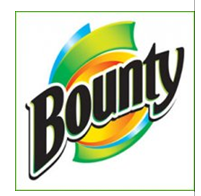 $5 Bounty Coupon On Facebook! Starting Friday, June 3 Bounty will be offering a FREE $5 off Bounty Coupon for the first 5000 people! This will occur every Friday for the month of June. The This coupon is good on ANY of their products, so you should be able to get these for FREE!